KEEP THE HERNANDEZ FAMILY IN THEIR HOME! Call Fannie Mae. Urge them to let the Hernandez family stay in their home! Reference the following loan information: FNMA #1702179550, for the Hernandez family’s home at 1136 Morrell St., Detroit, MI 48209. The Hernandez family – Ludim and Gabriela, their three children, Kriscia, Yelinne, and Litzy, and their puppy, Princess – have lived in their Detroit home for more than a decade. Facing hard times and job layoffs, they fell behind on their mortgage payments in early 2012, and their home was foreclosed on and purchased at sheriff sale by Fannie Mae. Attempting to buy back their home as the foreclosure process neared completion, the Hernandez family met with someone who they thought was a mortgage representative, who offered them $15,000 for the opportunity to buy back their home. This is approximately the current market value of the home. The Hernandez family agreed to give their money to the representative. However, they later discovered that the “mortgage representative” was a scam artist who ran off with their money, and that they in fact did not receive ownership of their home. They still have not gotten their money back from this scam artist. On top of the Hernandez family’s already difficult financial circumstances, and being scammed out of $15,000, they now face eviction from their home! The Hernandez family has tried to negotiate with Fannie Mae, the new owner of their home, but Fannie Mae has refused to let them stay in their home unless they pay over $80,000, a number that far exceeds the home’s current market value. 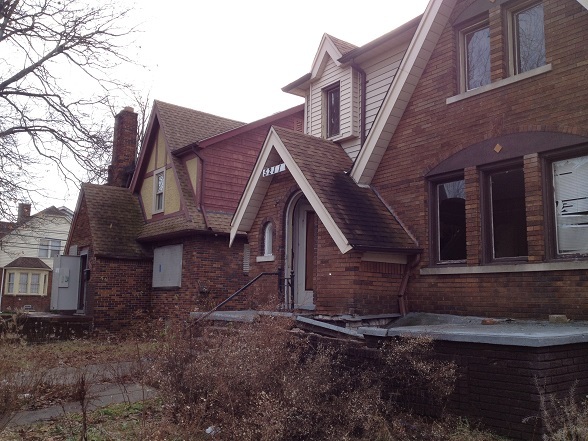 The last thing Detroit needs is another vacant home and another family on the street! Moreover, Fannie Mae, along with Freddie Mac, another government-sponsored enterprise, guarantee 60% of all mortgages. This means that when a homeowner gets evicted, the Wall Street banks don’t lose a dime, and taxpayer money pays for the remainder of the unpaid loan. To date, public money has covered about $188 billion in losses, and the Federal Reserve has purchased more than $1 trillion in mortgage backed securities and continues to purchase $40 billion per month. This money goes directly to Wall Street! Despite this massive taxpayer support, Fannie Mae refuses to work with the Hernandez family.